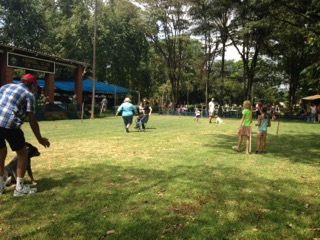 Two more races were participated by many: Fastest recall and 11 legged race. 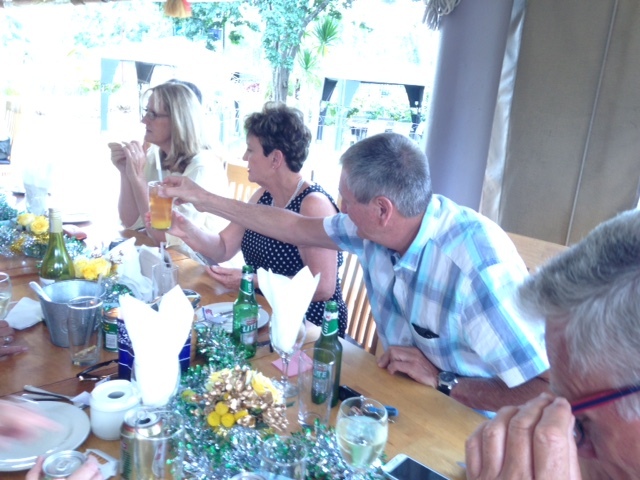 This entry was posted in Fun on 18 December 2016 by Ilse van Erp. 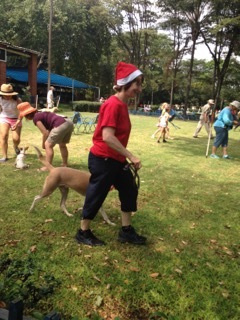 Today was the Dog Christmas party and what fun to be able to come and watch all the various dog morning fun. 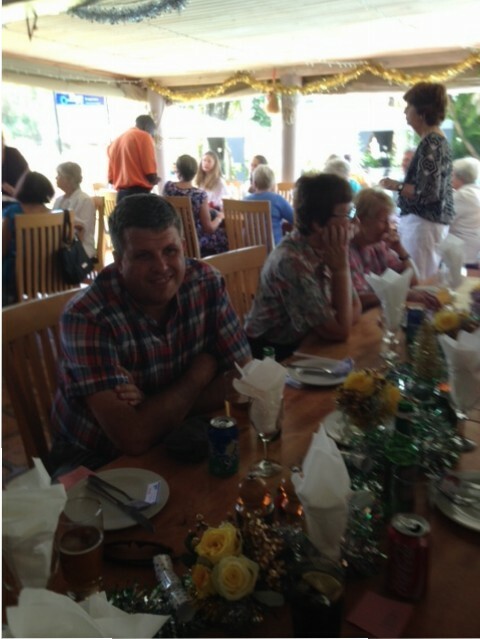 It was so good to see Joyce and Alan Lester there too to watch it all. 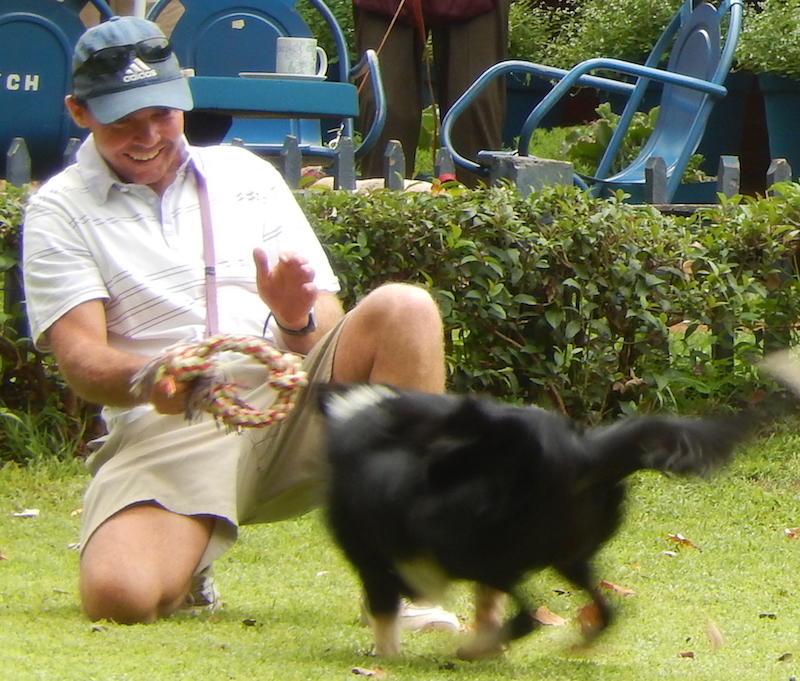 I would like to thank all committee members for their fantastic input throughout the year for us members and dogs. 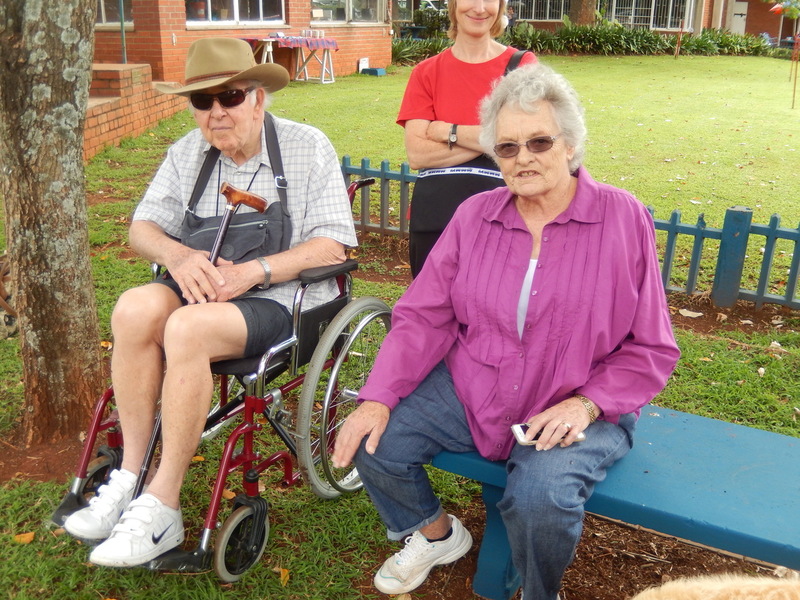 Amazing the work they have put in and hope they will cary on doing so much for us. 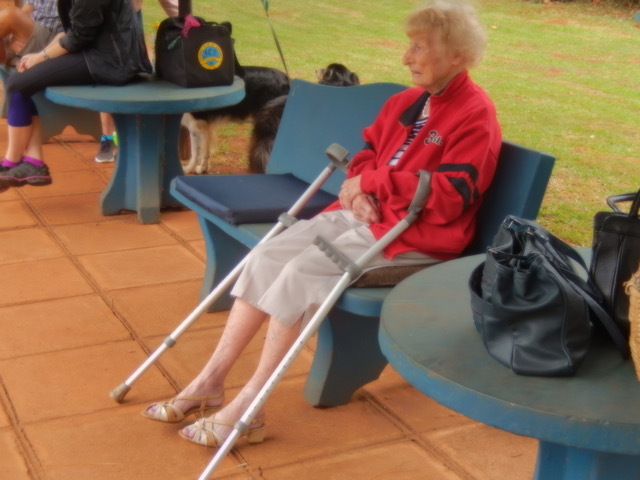 Sadly Cherie Blake was not able to be there as she had a vary nasty experience and had to stay home for a rest, keep well Cherie and get better soon. 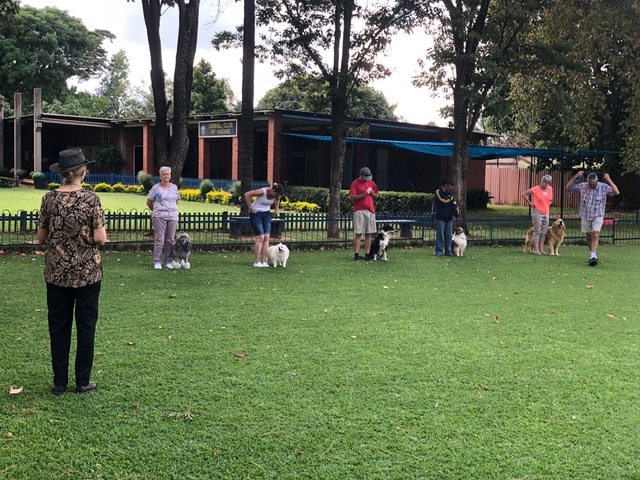 I have taken some pictures of the event today and need to look at them, put them onto my laptop and see what is good to go onto the web. 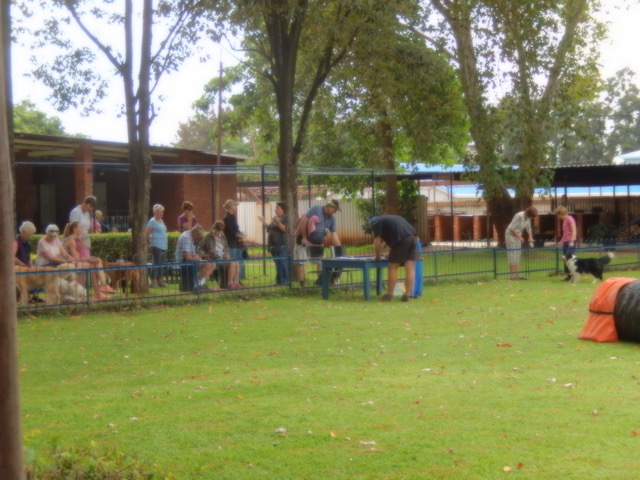 This will take some time. 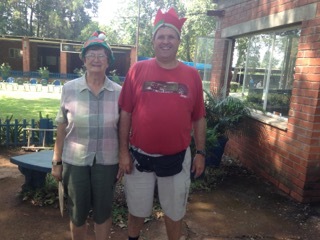 A very happy Christmas and all the best for the New Year. 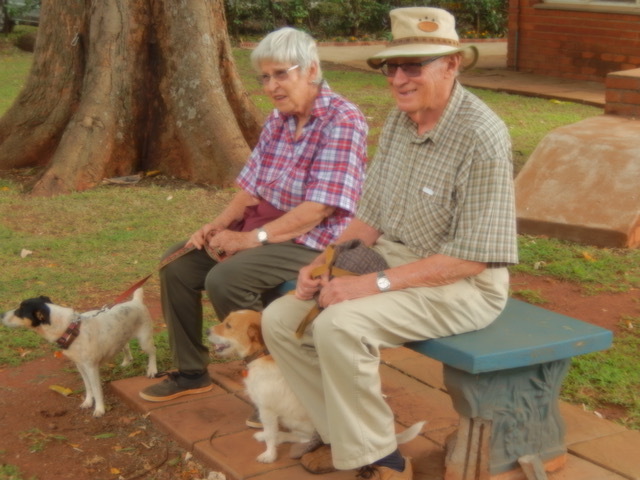 Long time members of the cub: Joyce and Alan Lester, great to see them. 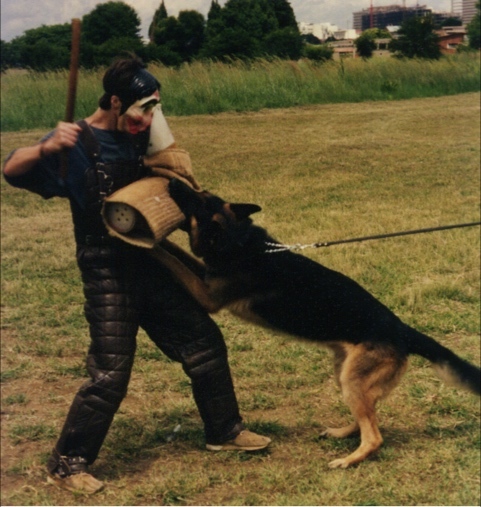 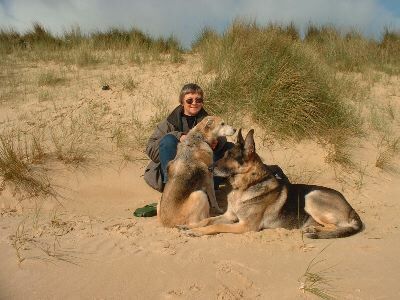 Gee some great German Shepherds were there too, beautiful to see these. 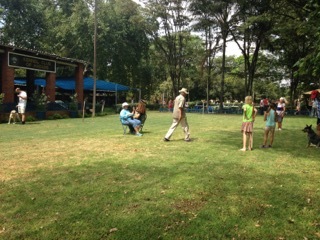 A Lovely family who came too. 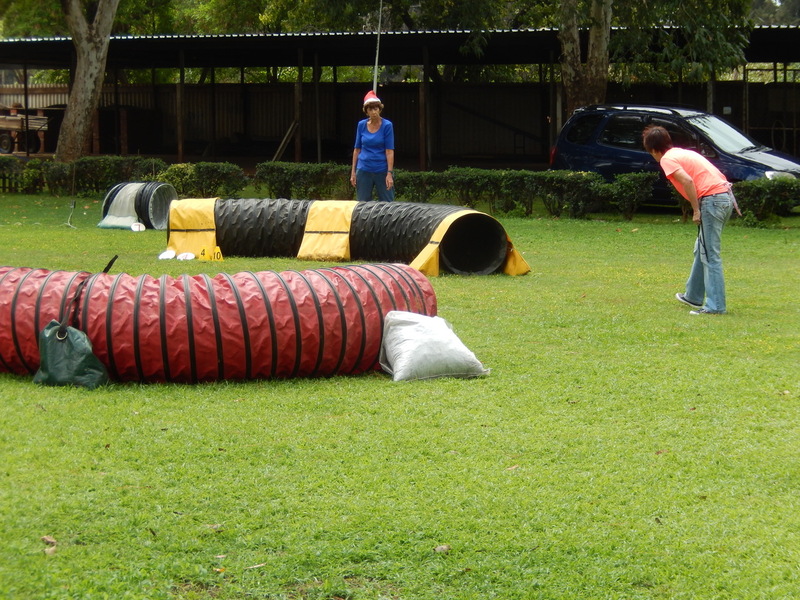 Tunnel competition: is she coming out of the tunnel? 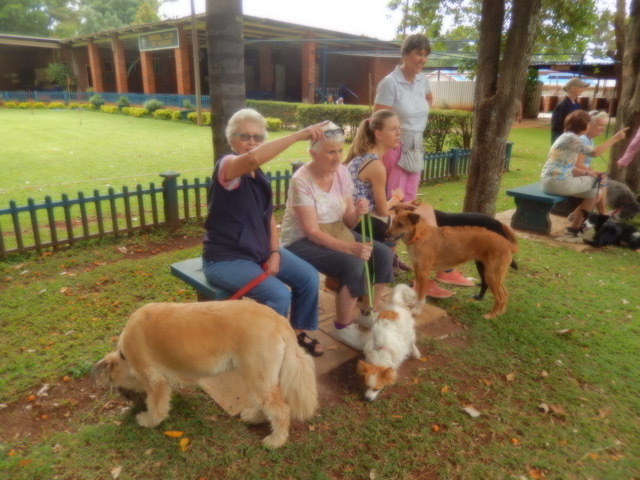 Yes thy are all sitting and helpers try to keep the dog into the required sit position. 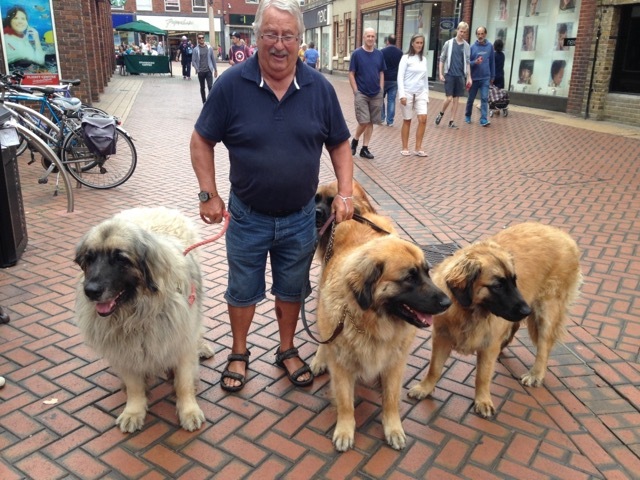 Some different kind of dogs? 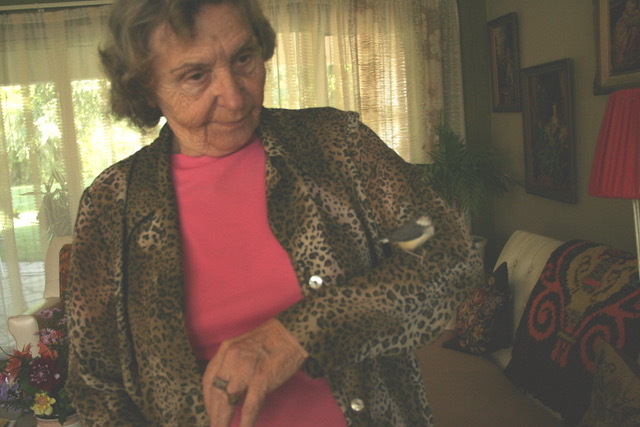 Here one with ‘spiky made up’ hairdo? 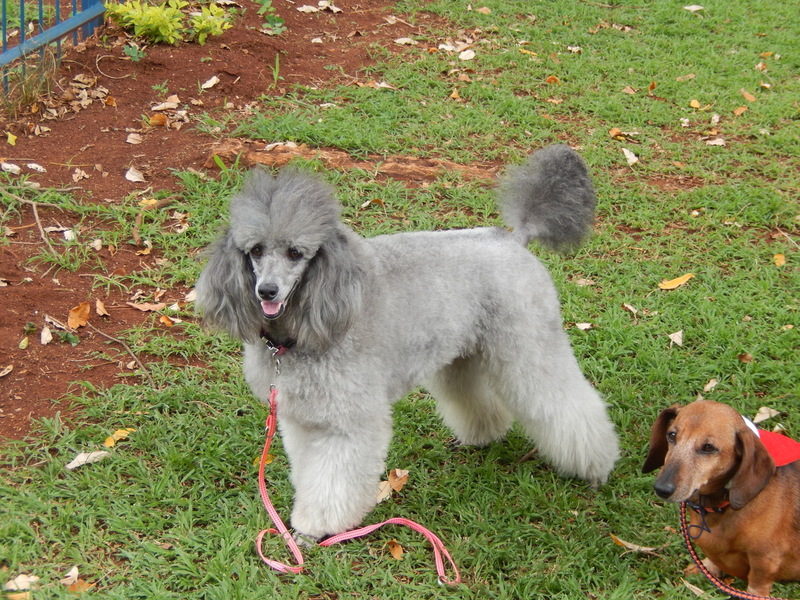 Well cut poodle hairdo, amazing what you can see on a fun day. 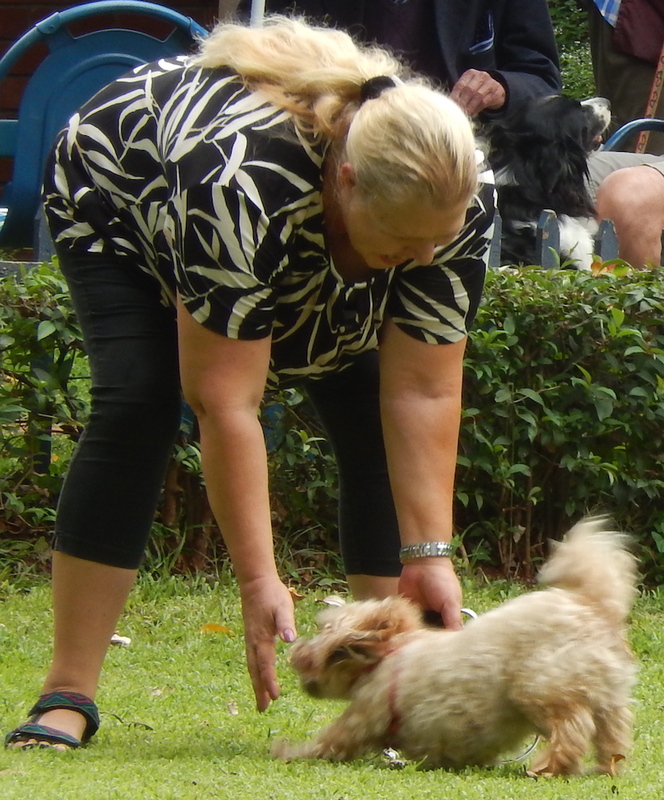 This entry was posted in Fun on 11 December 2016 by Ilse van Erp. 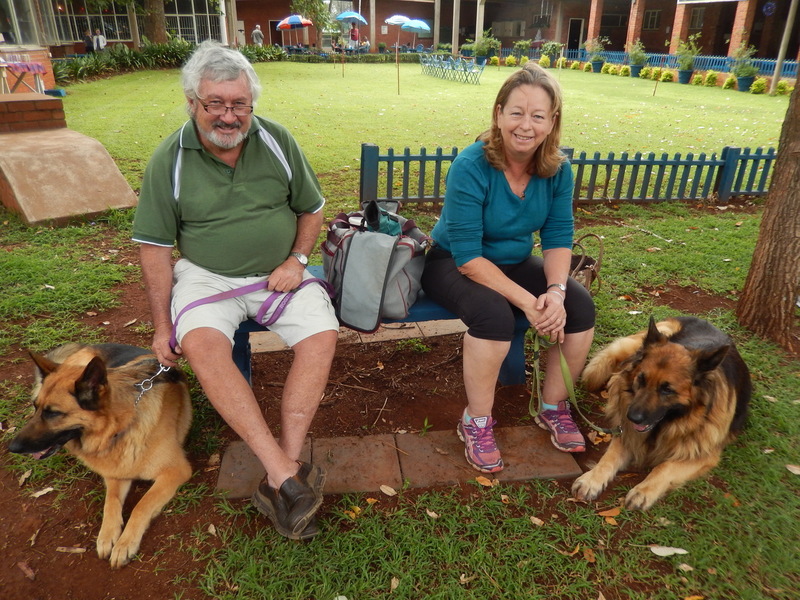 This entry was posted in Fun on 4 December 2016 by Ilse van Erp. 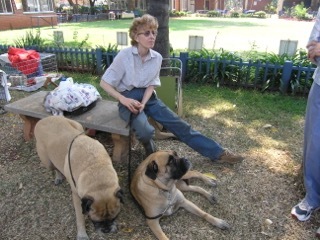 Stephany sitting with their beloved dogs at a KCH show in 2008. 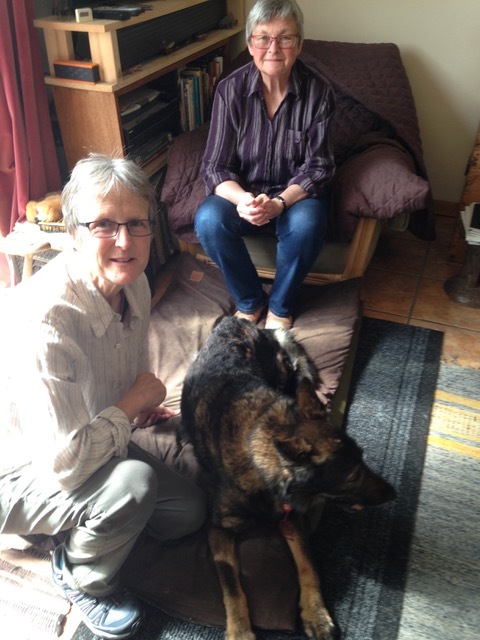 We all set off in the cab of this van with our cases and Mitts’s travel box in the back and the four of us (Mi tts, Dorothy, Steph and our very kind and efficient host, Bryn) for our first base. 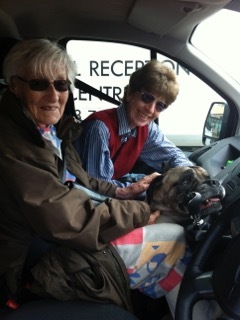 I travelled with my feet against the windscreen and we had a delightful stop half way to relieve the cramp! 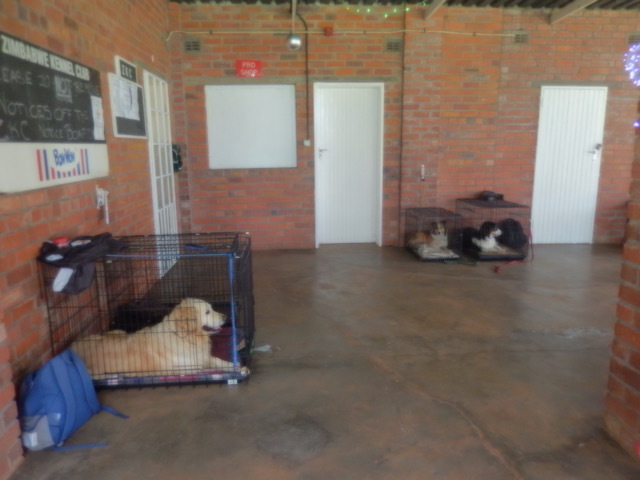 All safe and sound and VERY happy to be together. 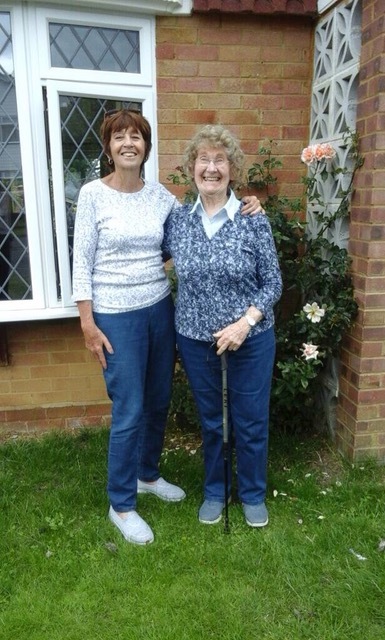 We set off for Lincolnshire tomorrow in convoy: Dorothy and Steph with Mitts in the car acquired today and Bryn in the van with Mitsi’s Mansion, the eight (+) suitcases and sundry other bulky acquisitions with a picnic lunch and great optimism. 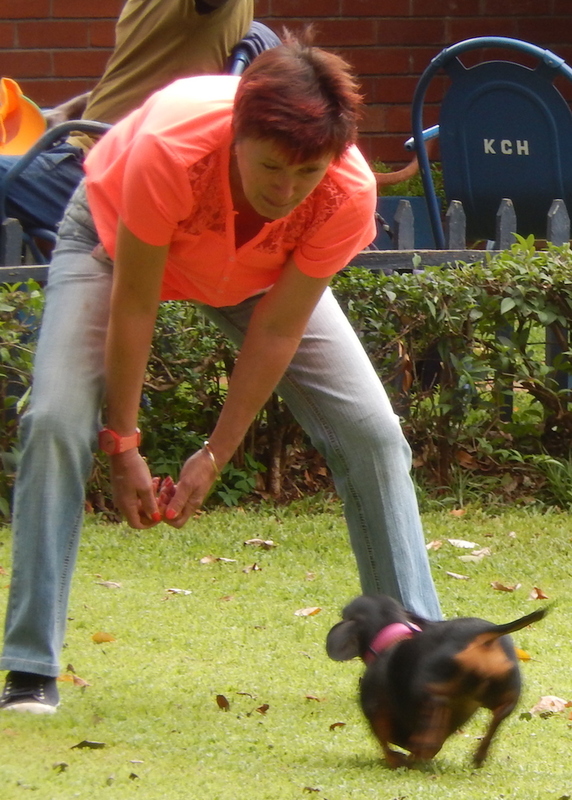 This entry was posted in Fun on 2 April 2016 by Ilse van Erp. 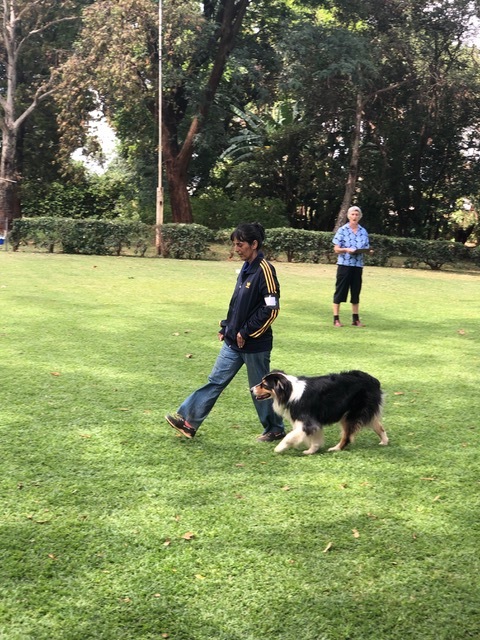 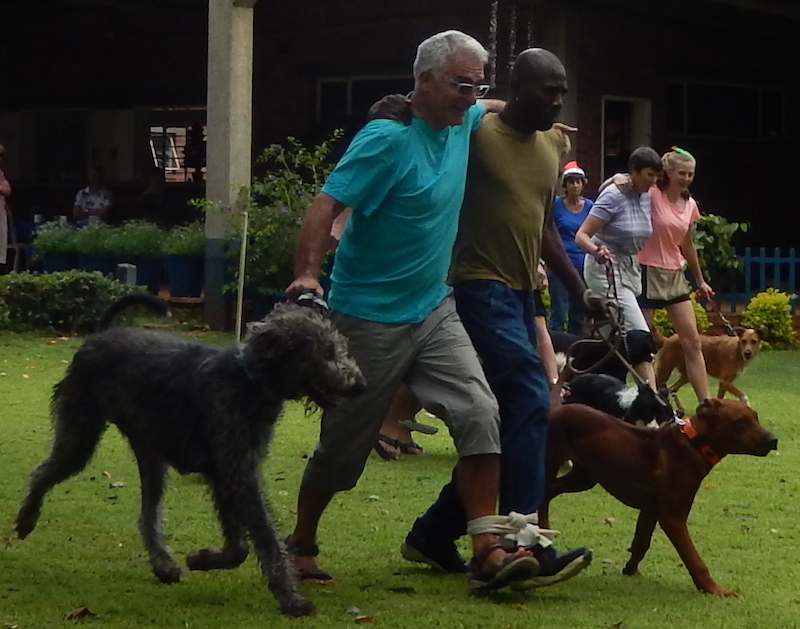 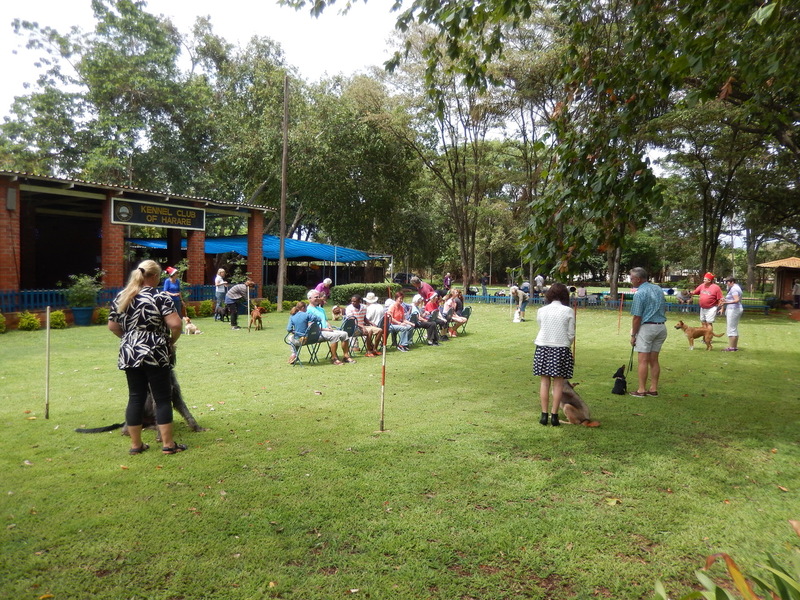 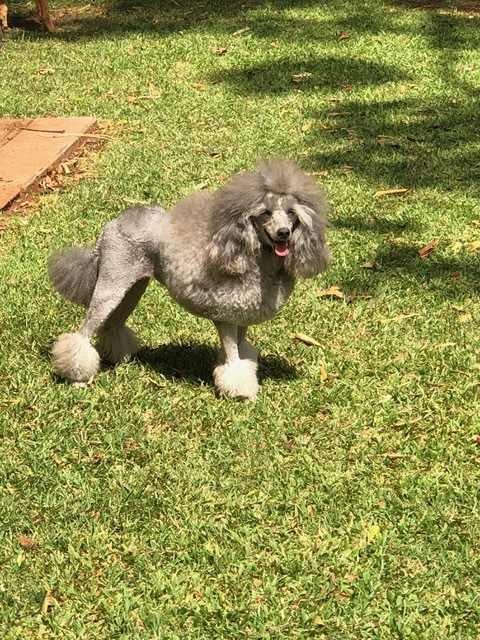 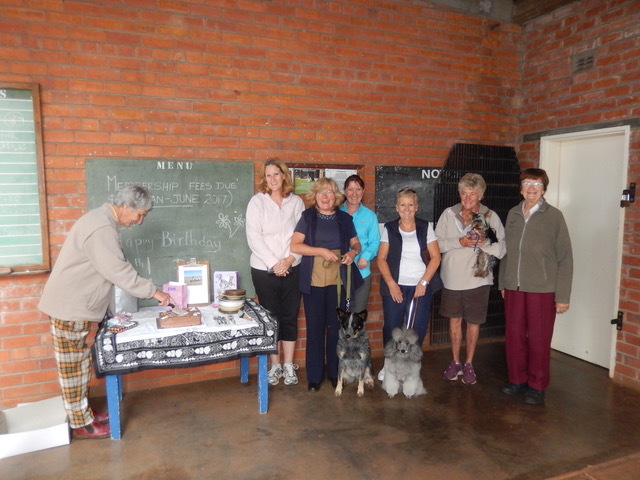 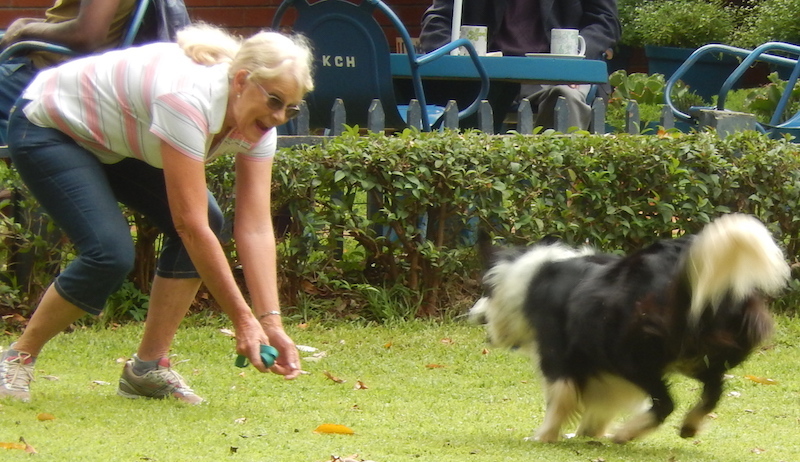 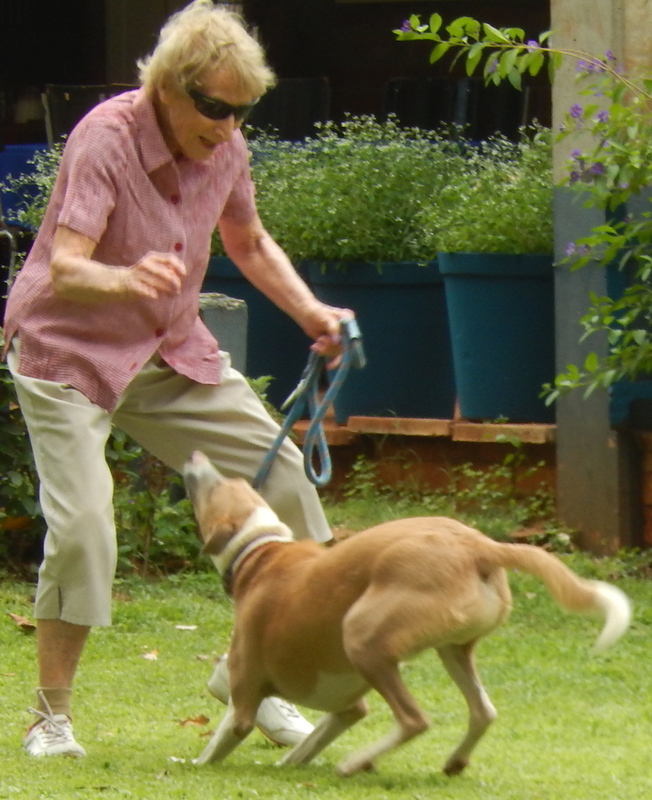 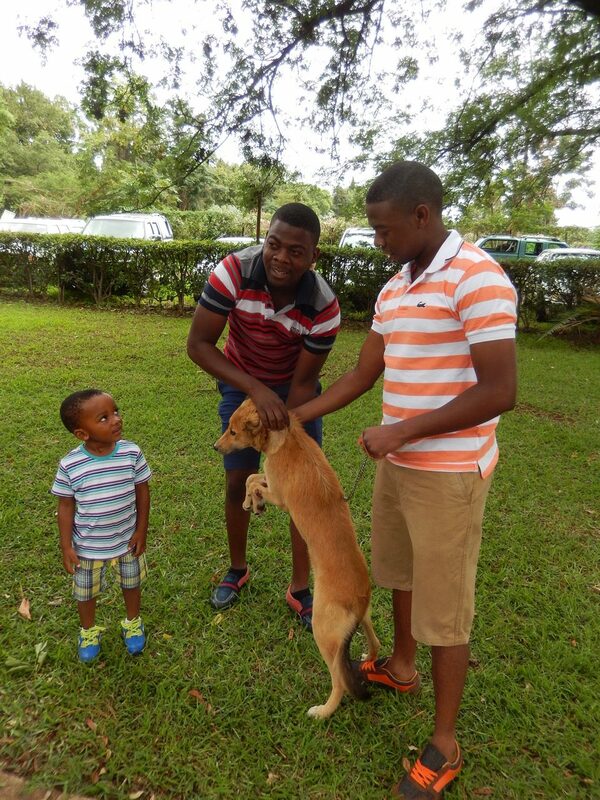 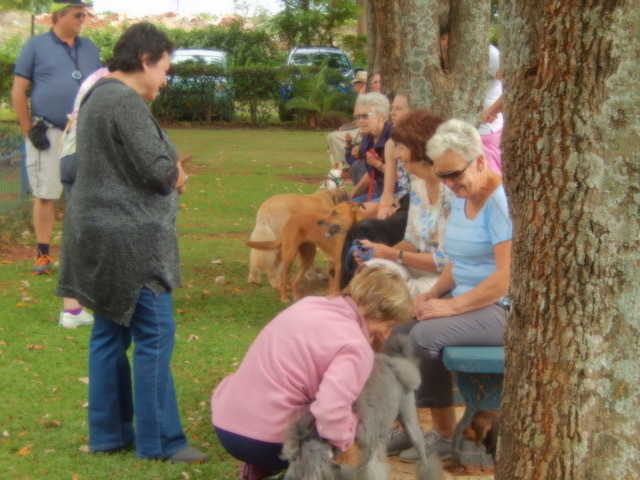 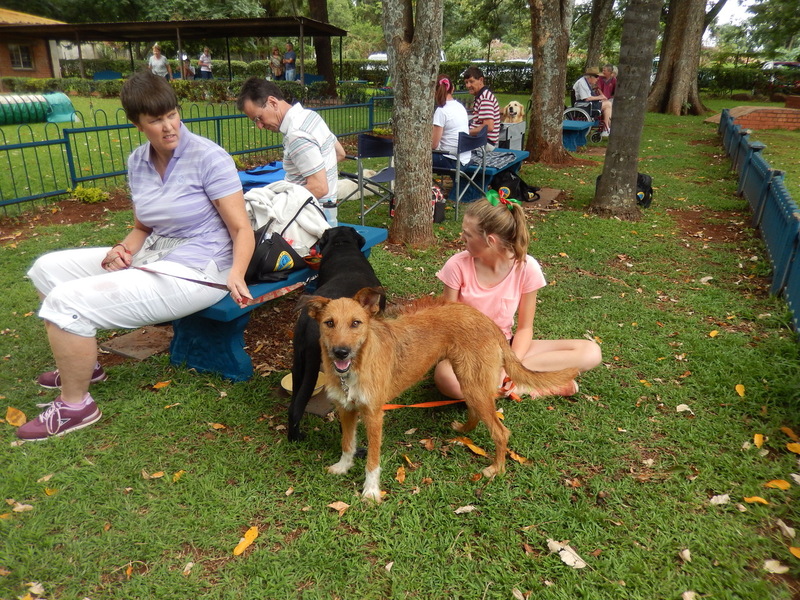 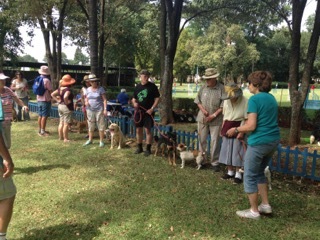 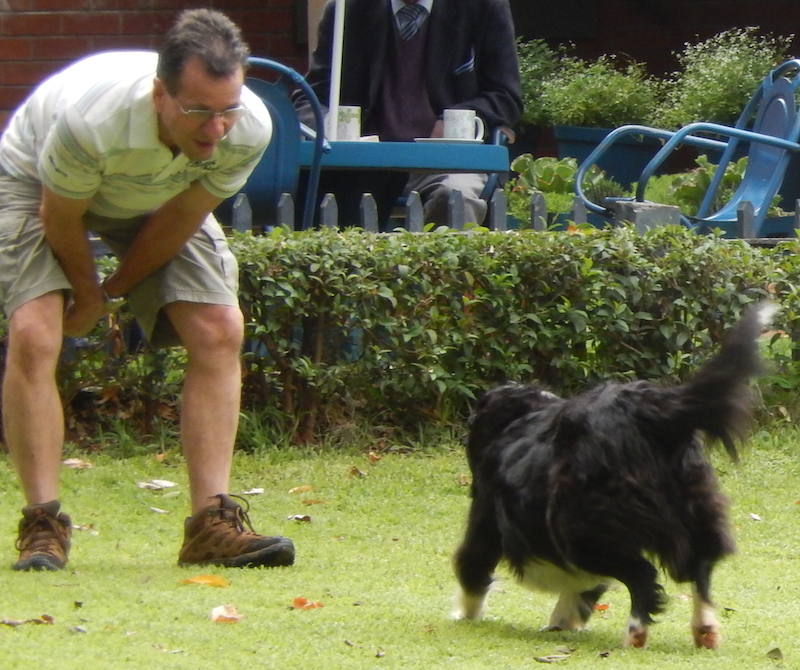 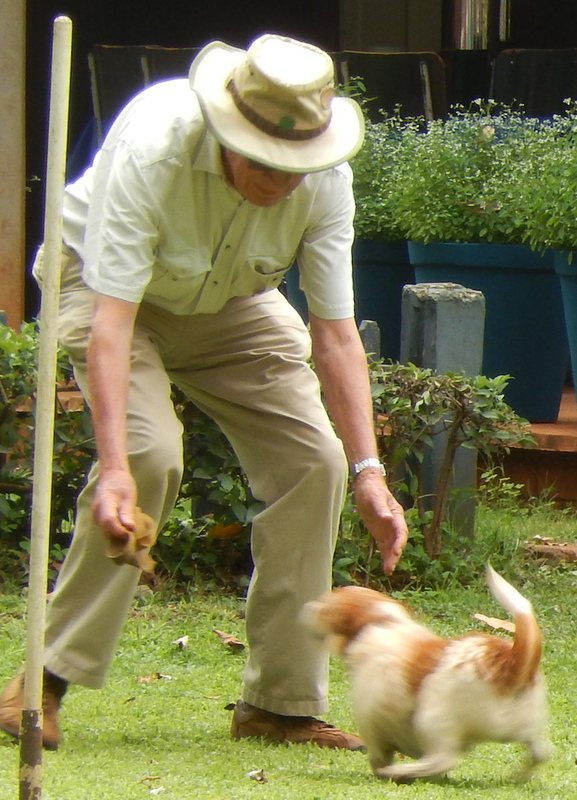 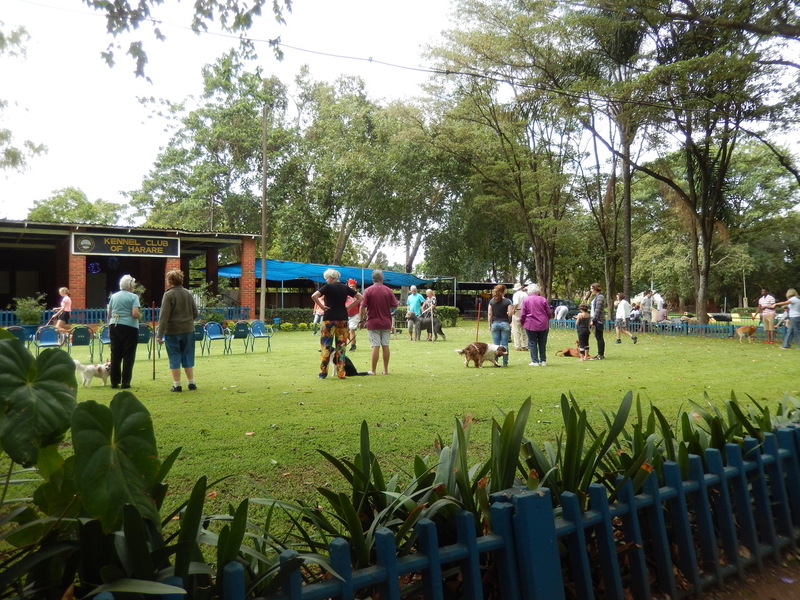 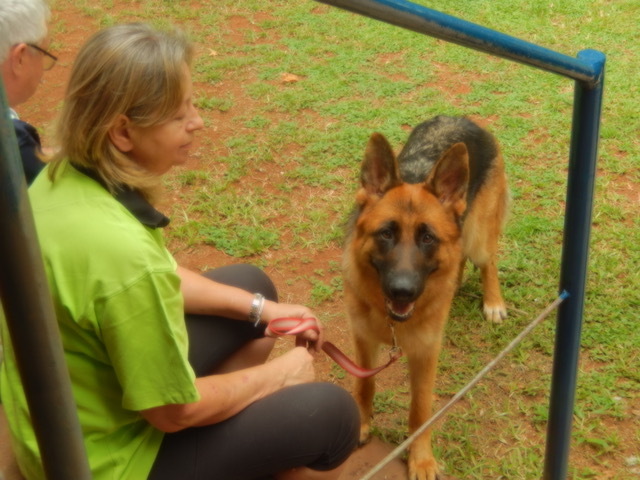 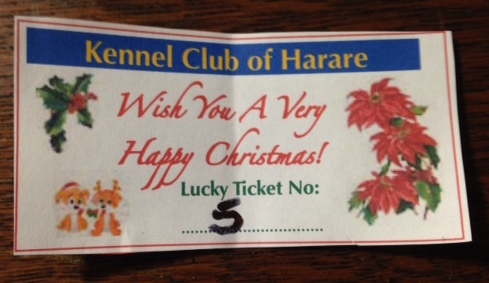 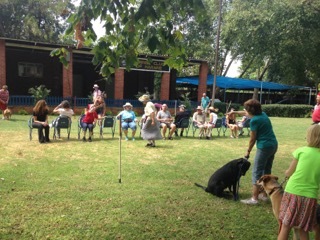 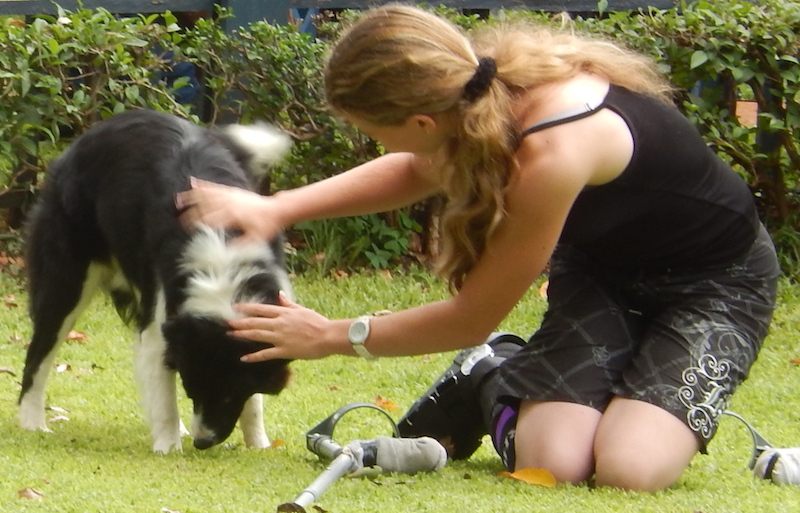 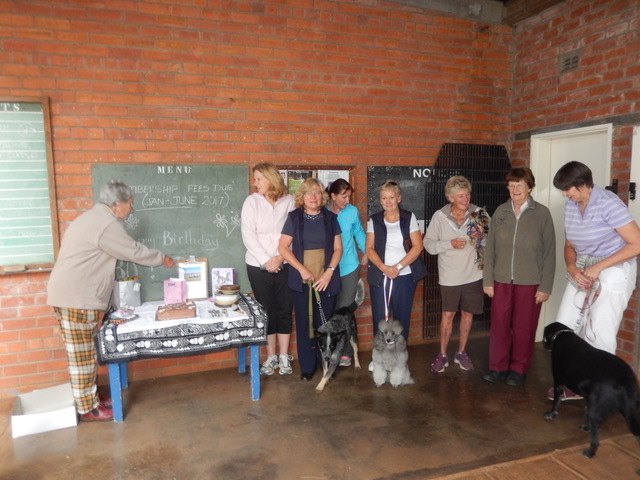 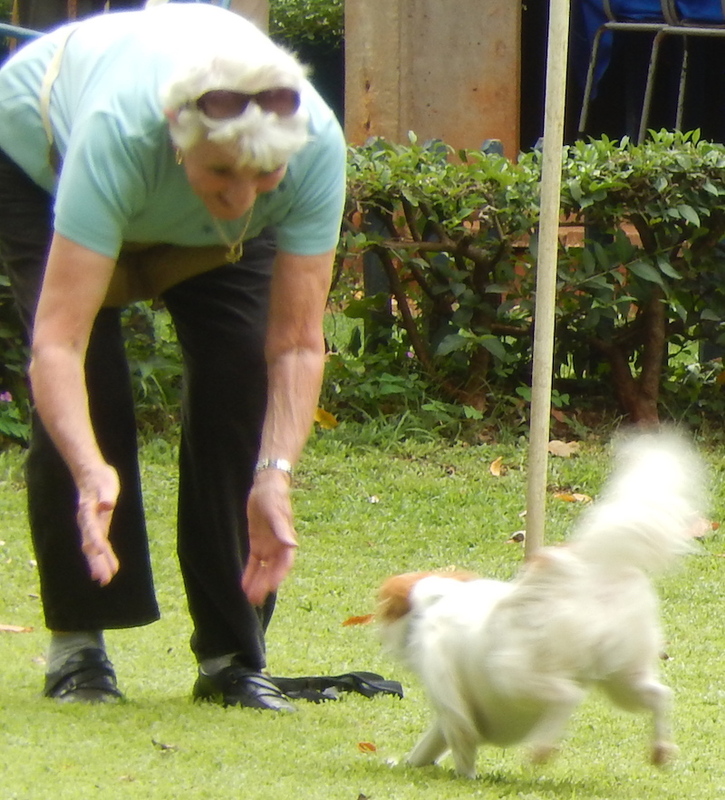 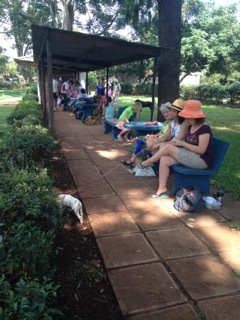 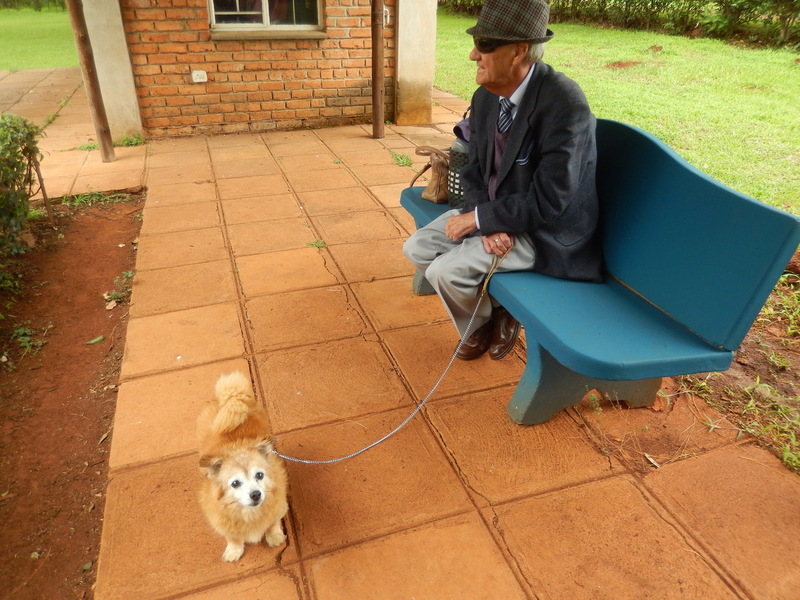 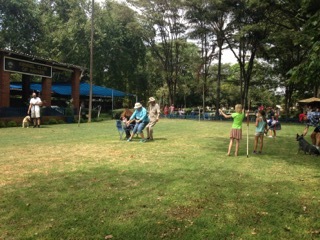 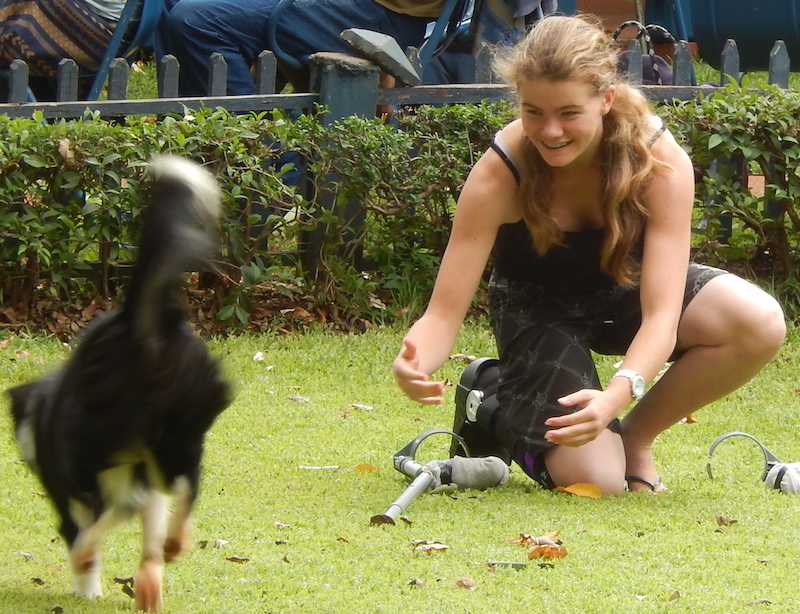 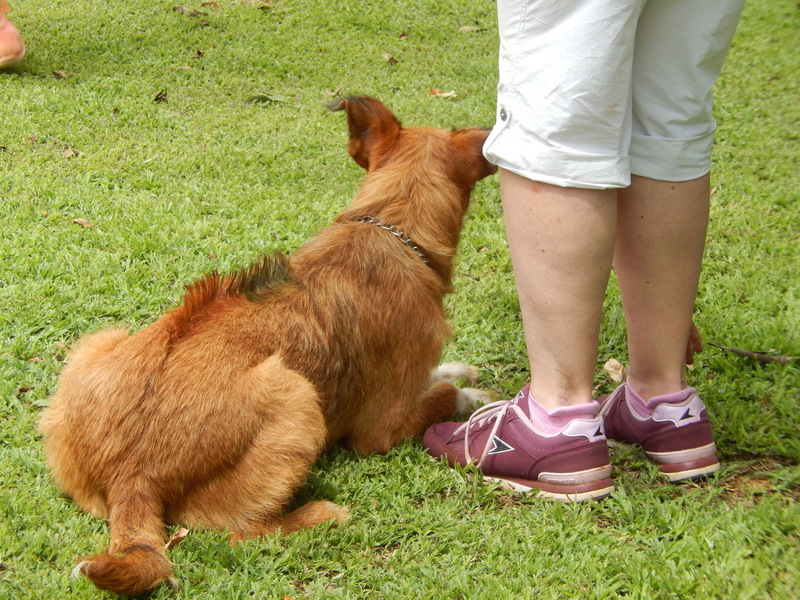 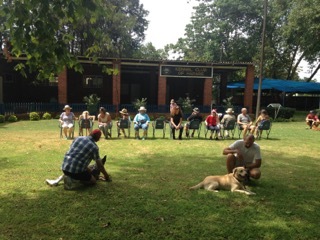 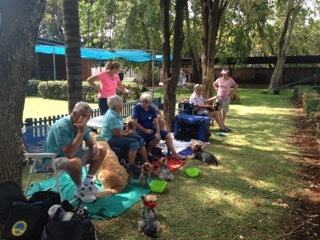 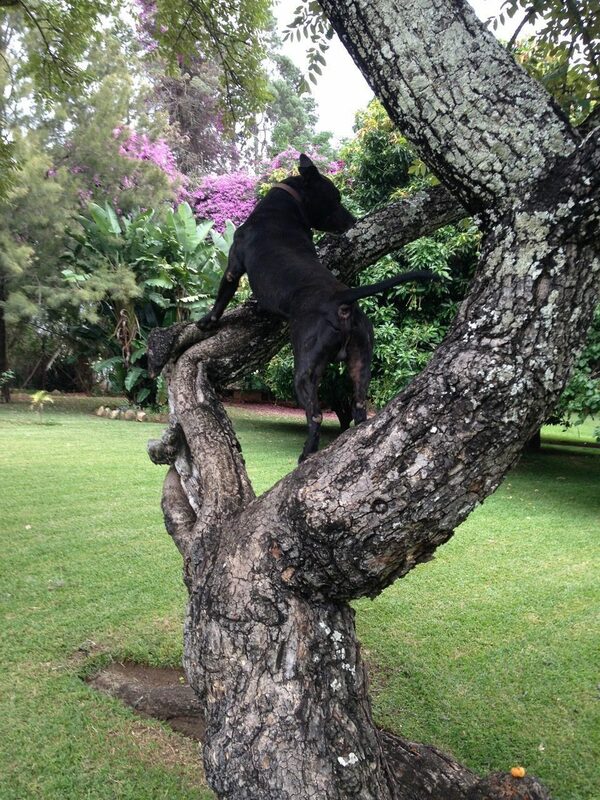 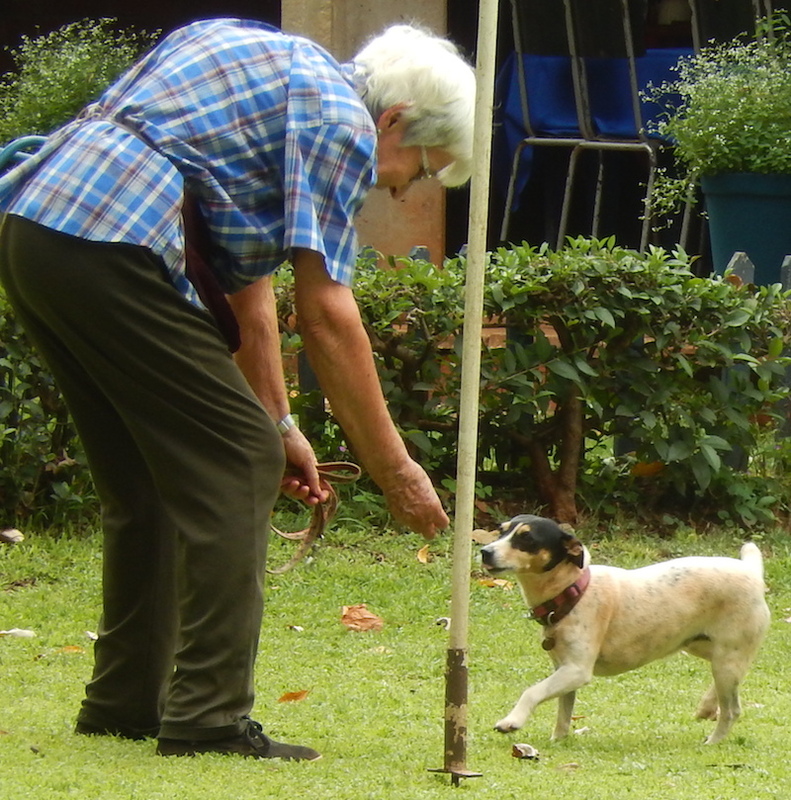 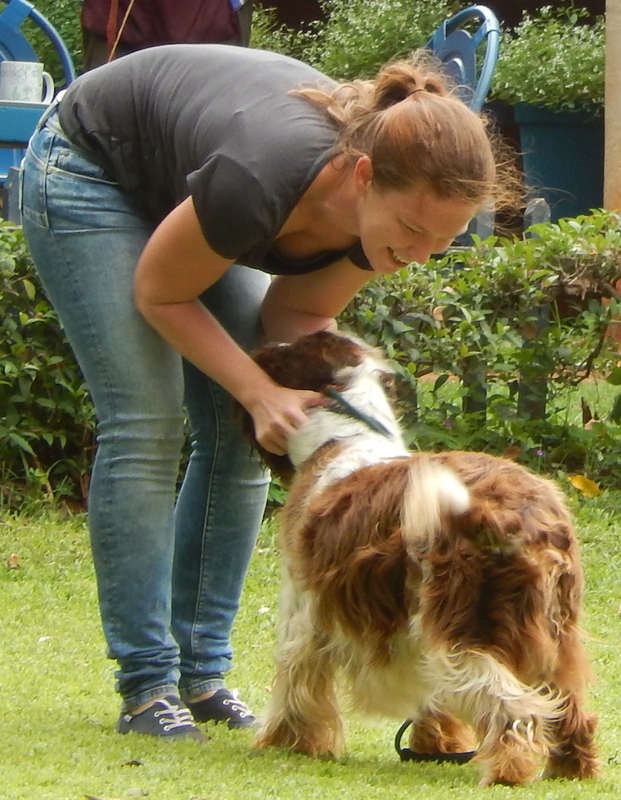 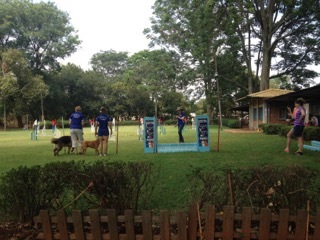 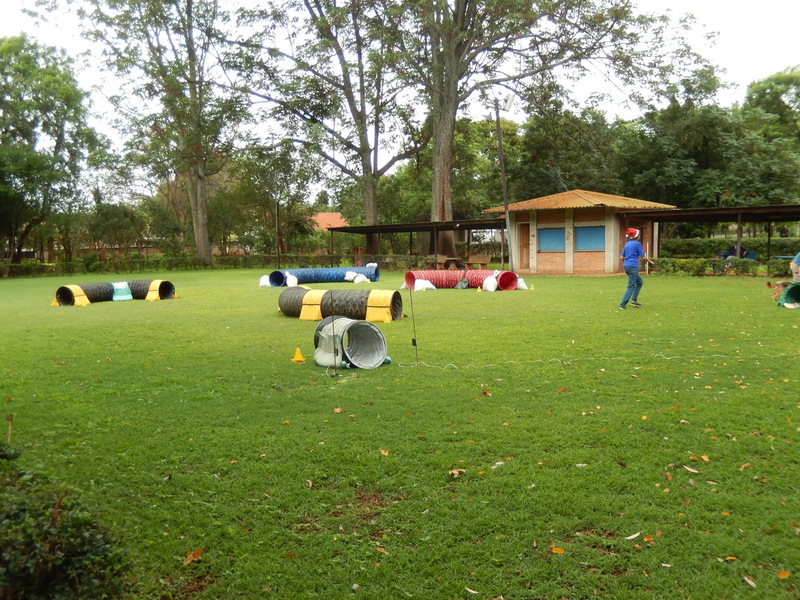 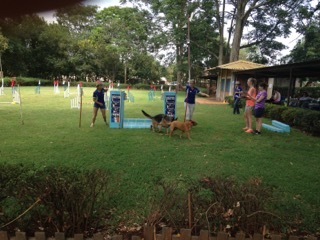 The Kennel Club of Harare ended its fantastic training year with the “DOG’S Christmas party” on Sunday 13 December. 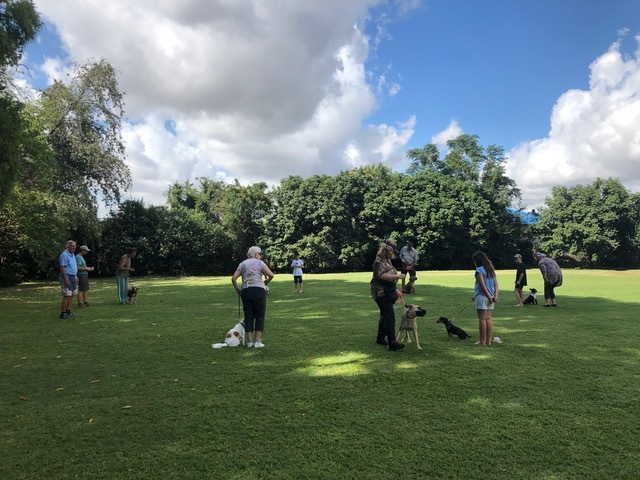 The weather was sunny and quite a lot of our members came with their pooches and a plate of eats for the humans at teatime. 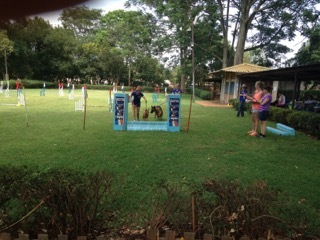 Dog jumping at various size and height for the dogs and a lot of the people sat and watched. 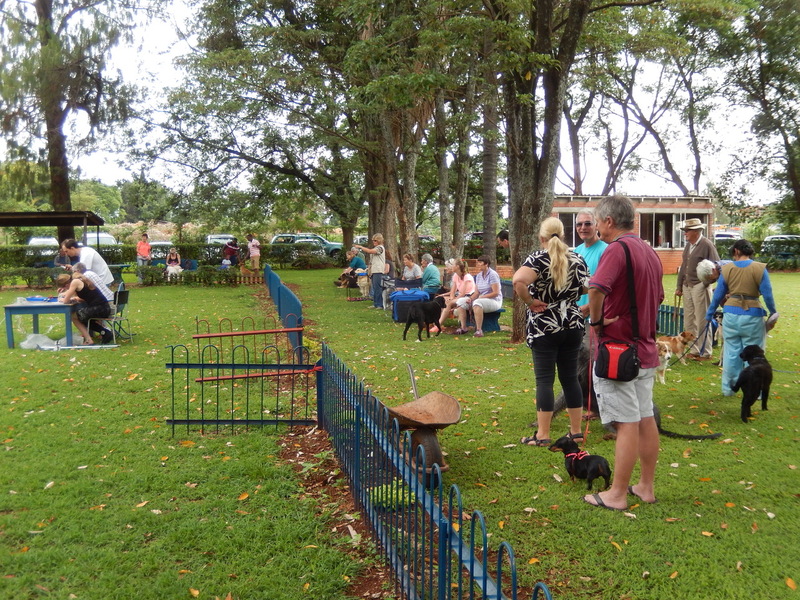 A lot of members and friends sat at the side to watch the proceedings. 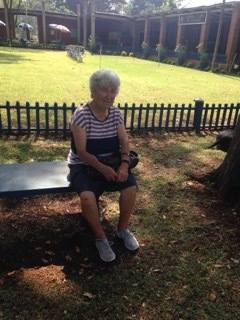 Will she get to the chair on the other side? 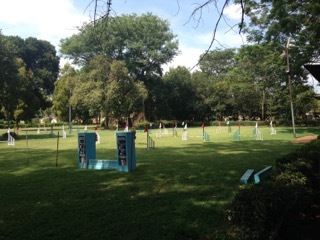 Who will get on the chair? 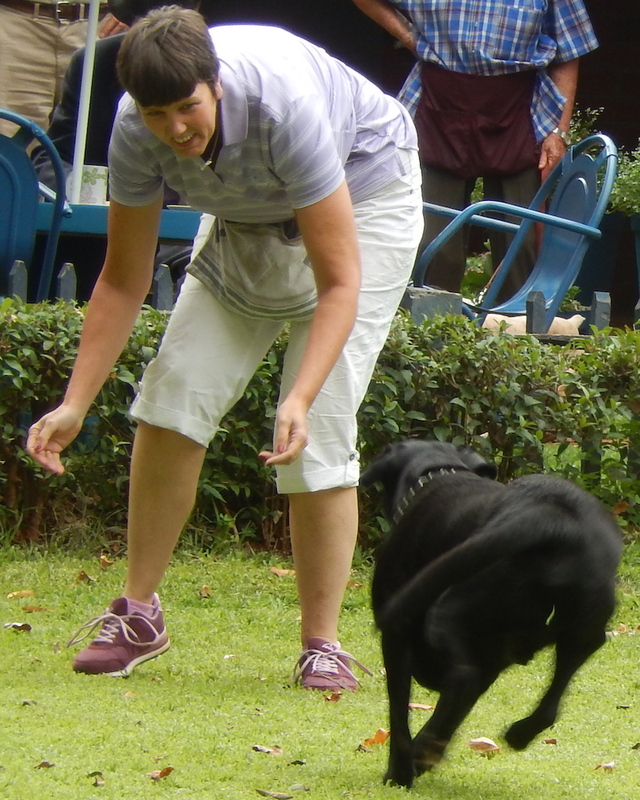 This entry was posted in Fun, Kennel Club Event on 1 January 2016 by Ilse van Erp. 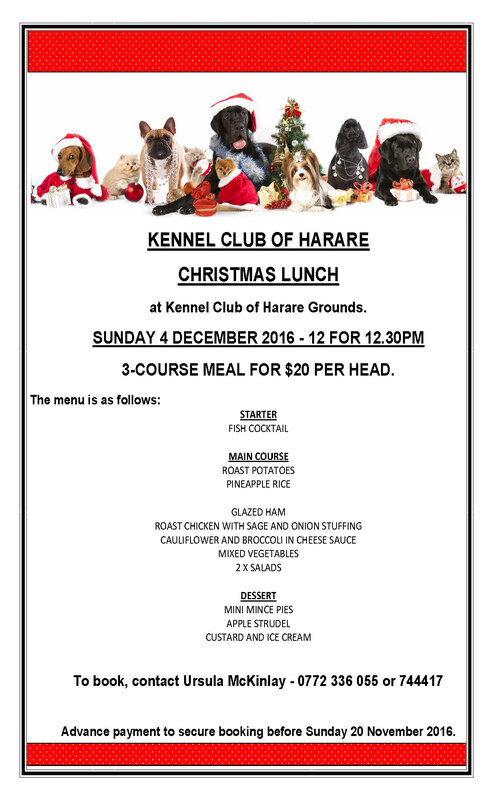 The Kennel Club of Harare held their Christmas lunch at ‘the Bistro’ along the Borrowdale Road. 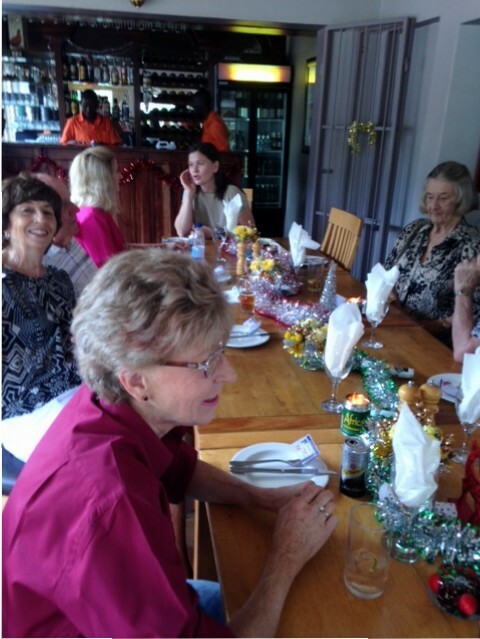 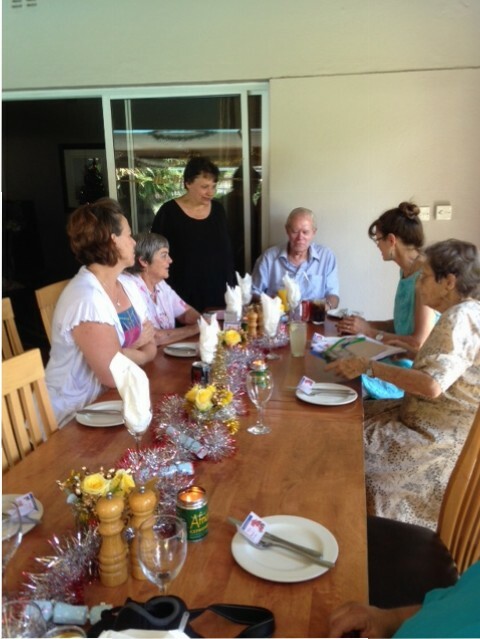 5 Tables of 10 places were arranged on their veranda and beautifully decorated with Christmas things. 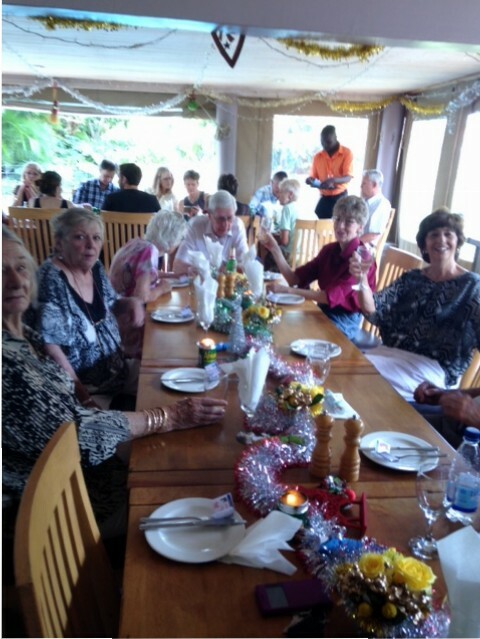 The dinner was a choice of 3 different starters as well as 3 choices of beef, fish or chicken. 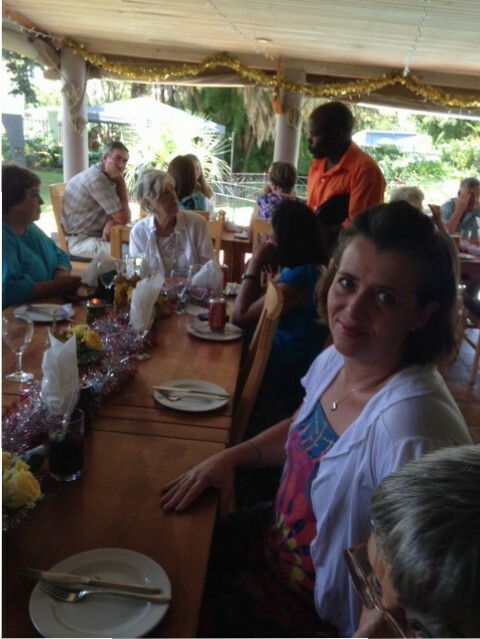 Pudding was ice-cream and chocolate sauce. 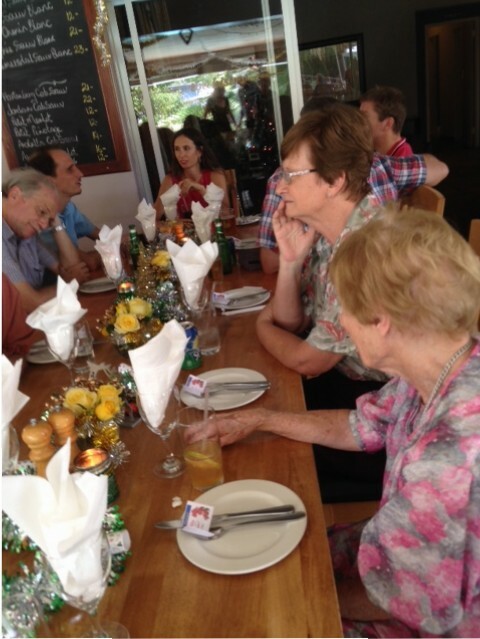 The portions were big and extremely toothsome. 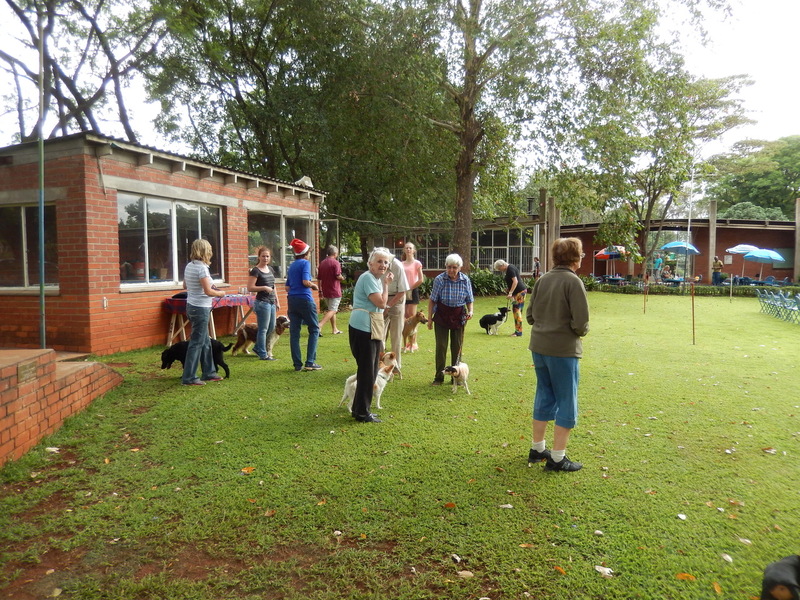 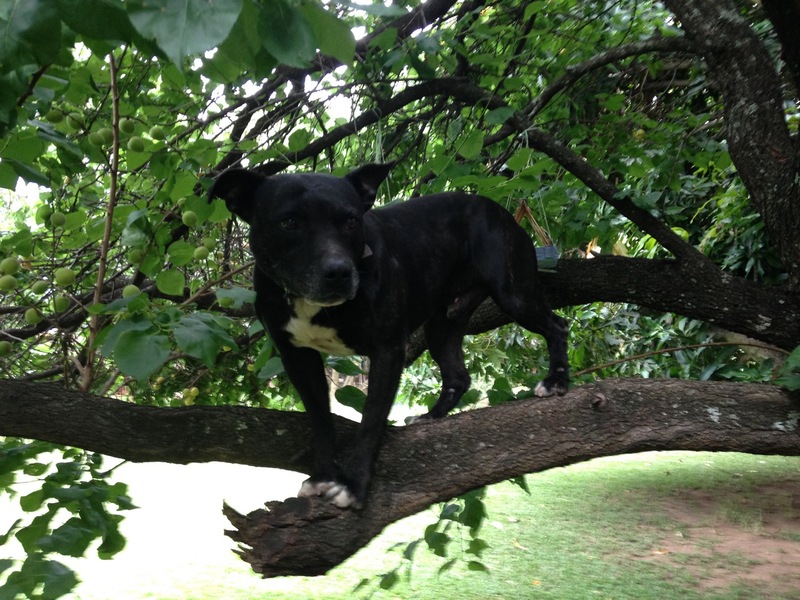 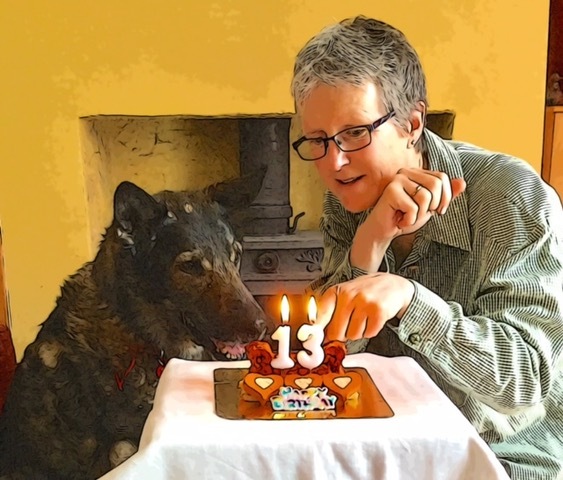 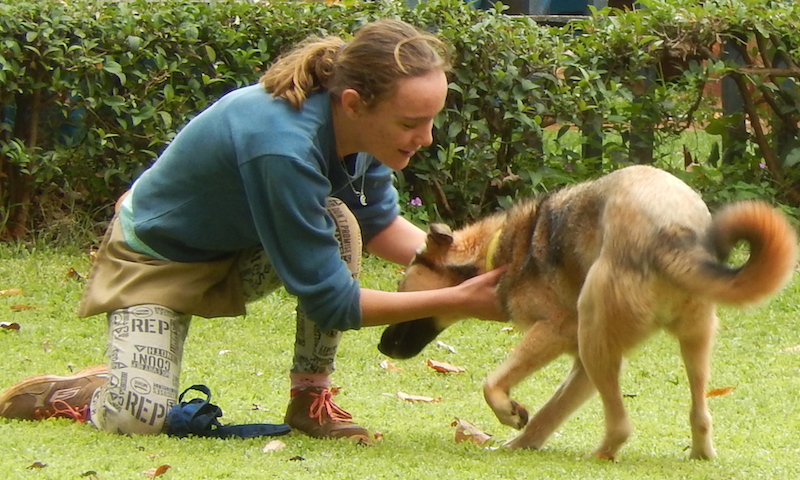 This entry was posted in Fun, Kennel Club Event on 12 December 2015 by Ilse van Erp.